The G7 group of advanced economies consists of Canada, France, Germany, Italy, Japan, the UK and the US. Five of the G7 nations agreed to the ocean plastics charter. A footnote states that the US “strongly supports healthy oceans, seas and resilient coastal communities” and further notes that the US has announced its intention to withdraw from the Paris Agreement on climate change and reserves on the climate related language in the Blueprint. In addition, Japan did not sign the charter. and launch a joint G7 initiative to deploy Earth observation technologies and related applications to scale up capacities for integrated coastal zone management. Leaders request the G7 Ministerial meetings in Halifax to work to present new actions related to this initiative, which will leverage innovation and make technologies and applications available to poor and vulnerable communities. Leaders committed to a number of actions, such as working in partnership to identify and assess policy gaps and vulnerabilities; encouraging the development of coastal management strategies, advancing the development and deployment of clean and resilient energy systems, including from renewable sources; advocating for and supporting nature-based solutions, such as protection and rehabilitation of wetlands, mangrove forests, seagrass beds and coral reefs; and building the capacity of small island developing States. On ocean knowledge, leaders commit to increase the availability and sharing of science and data and to expand global conservation and tracking efforts through enhanced global monitoring of oceans and collection, analysis, dissemination and use of gender-sensitive data to bridge gaps in understanding the way women and girls are impacted by risks and how to engage them in developing and implementing solutions. On sustainable oceans and fisheries, leaders agree to address illegal, unreported and unregulated fishing and other drivers of overexploitation of fish stocks, including through implementation of the International Maritime Organization’s unique vessel identification scheme and strengthening regional fisheries management organizations, among other actions. 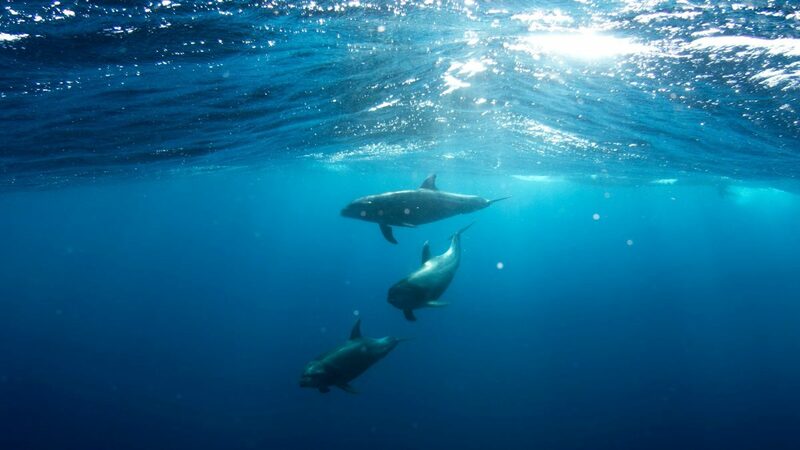 Leaders commit to support strategies to effectively protect and manage vulnerable oceans and resources, such as by advancing beyond the current 2020 Aichi Targets, including through establishing marine protected areas. On ocean plastic waste and marine litter, leaders recognize the urgency of the threat of ocean plastic waste and marine litter to ecosystems and commit to building on previous G7 commitments and taking a lifecycle approach to plastics. Leaders further agree to promote the harmonization of monitoring methodologies for marine litter and collaboration on research on the impacts of marine litter. In the ‘Ocean Plastics Charter,’ the leaders of Canada, France, Germany, Italy, the UK and the EU commit to move towards a more resource-efficient and sustainable approach to the management of plastics. On sustainable design, production and after-use markets, leaders agree to work with industry towards 100 percent reusable, recyclable or, when viable alternatives do not exist, recoverable plastics by 2030. They further agree to use green public procurement to reduce waste and support secondary plastics markets and alternatives, work with industry to increase recycled content in plastic products, support secondary markets for plastics and work with industry to reduce the use of plastic microbeads in cosmetic and personal care products. On collection, management and other systems and infrastructure, the leaders commit to work with industry and other levels of government to recycle and reuse at least 55 per cent of plastic packaging by 2030; increase domestic capacity to prevent the leakage of plastics into the marine environment; encourage a supply chain approach to plastic production; and accelerate international action and catalyze investments to address marine litter in global hotspots and vulnerable areas, among other actions. On sustainable lifestyles and education, the leaders commit to, inter alia: strengthen standards for labeling to enable consumers to make sustainable decisions on plastics; promote the leadership role of women and youth as promoters of sustainable consumption and production practices; and support information sharing platforms to foster awareness and education efforts on preventing and reducing plastic waste generation and eliminating marine litter. On research, innovation and new technologies, leaders call on G7 Ministers of Environment to advance new initiatives, such as a G7 Plastics Innovation Challenge, to promote research and the development of more sustainable technologies, design or production methods. They call for promoting the research, development and use of technologies to remove plastics and microplastics from waste water and sewage sludge and harmonizing science-based monitoring methodologies. On coastal and shoreline action, leaders commit to accelerating implementation of the 2015 G7 Leaders’ ‘Action Plan to Combat Marine Litter.’ They also encourage campaigns on marine litter to raise awareness. UN Secretary-General Antonio Guterres welcomed the charter at an outreach event that convened as part of the G7 meeting. He cautioned, however, that “we all need to do so much more” on both plastic waste as well as on all ocean issues. Guterres described the fight for the world’s oceans as “a battle” that the world is “losing on every front,” pointing to the depletion of fish stocks from overfishing, coastal dead zones from pollution, untreated waste that flows into the sea and ocean acidification as a result of climate change. He highlighted SDG 14 (life below water) as a “battle plan” to tackle these challenges and urged leaders to take threats to the world’s oceans and global environment seriously. The G7 Summit took place from June 8–9, 2018. In 2015, the G7 agreed on an action plan to combat marine litter, which they reaffirmed in 2016 and discussed again in 2017. This article was originally published on the SDG Knowledge Hub. For more news, commentary and upcoming events regarding the implementation of the 2030 Agenda around the world, please visit the SDG Knowledge Hub (http://sdg.iisd.org/).